Topcoat is a CSS framework that will help you build fast, high-performance UIs. Topcoat is one of the Adobe Open Source initiatives. In terms of philosophy, Topcoat believes that UI performance results in better UX. Also, the project aims to bring web apps closer to native apps in terms of speed and responsiveness of user-interactions. One of the ways Topcoat achieves performance improvements is by benchmarking how browsers perform when rendering Topcoat components. This is done by measuring load time and frames per second (fps) to find underperforming CSS properties. Topcoat is still very new. The latest release is version 0.8.0 at the time of writing. 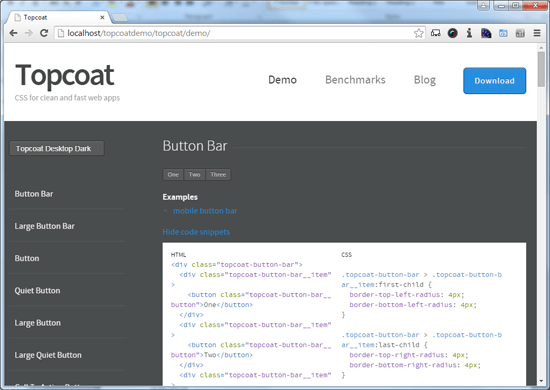 In this tutorial, we will build a simple user interface with Topcoat. The first thing you will need to do is download Topcoat’s source code from GitHub. Afterwards, extract the contents of the Zip archive somewhere on your computer. 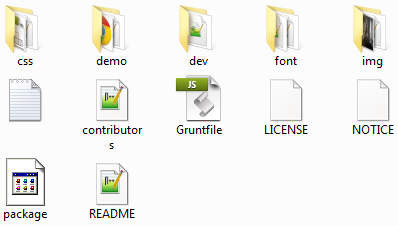 The CSS files that have .min in their file names are minified versions, so there are really just four unique stylesheets that come with Topcoat. For example, topcoat-desktop-dark.min.css is identical to topcoat-desktop-dark.css, except the former is smaller in file size. You should only use one or the other. Tip: You can use the demo file that we looked at earlier to learn how to implement other Topcoat components. 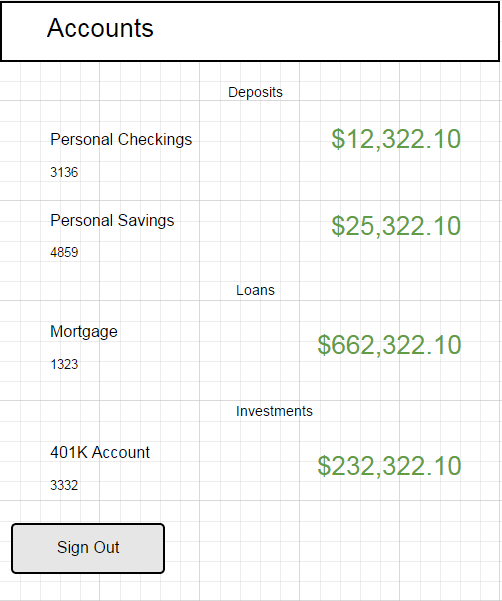 The next step is to create an HTML document for our UI. Start with some basic HTML markup, making sure to reference one of Topcoat’s stylesheets. For this example, we will use the topcoat-mobile-light.css stylesheet. 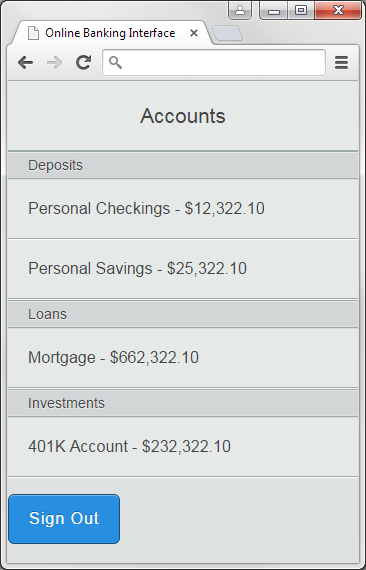 Within the <body> element of our HTML document, we will add the Navigation Bar, List and Button components. As you can see, it’s quick and easy to create user interfaces with Topcoat. If you are serious about web performance, you can also trim down Topcoat’s CSS by building a custom stylesheet that includes only the Topcoat components you will use in your work. 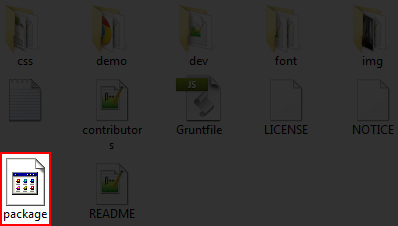 First, go into your topcoat directory and open the package.json file in a text editor. After editing your package.json file, don’t forget to save. Next open up the Node command prompt. If you don’t have this set up yet, you can read Installing Node.js to learn how to install and configure Node on your computer. By default, Node will automatically install npm. Important: change path/to/topcoat to the actual location of your topcoat directory on your machine. Issuing the command above will automatically install all the npm packages that are required to build our custom Topcoat stylesheets. Now when you go inside Topcoat’s css directory, you will notice that the file sizes of your stylesheets are smaller. This is because we have removed style rules that we don’t need. In the case of the stylesheet we’re using, topcoat-mobile-light, the file size dropped by -74.4%. As stated earlier, Topcoat is still pretty new. However, the team behind Topcoat has a clear vision of what they must do in order to achieve further performance improvements. To learn more about what’s up ahead in Topcoat’s future and how it plans to address common performance issues in web apps, check out this wiki page over at Topcoat’s GitHub repository.